Hello Raiders! Looking for some culture? Many of our international students hail from Hyderabad, India, where these films are particularly popular. If you are an international student looking for a taste of home, look no further than the Regina Library, where we are gathering a collection of Tollywood films for the whole campus to enjoy! The display is right when you walk into the library–come check out something good for your weekend watching. 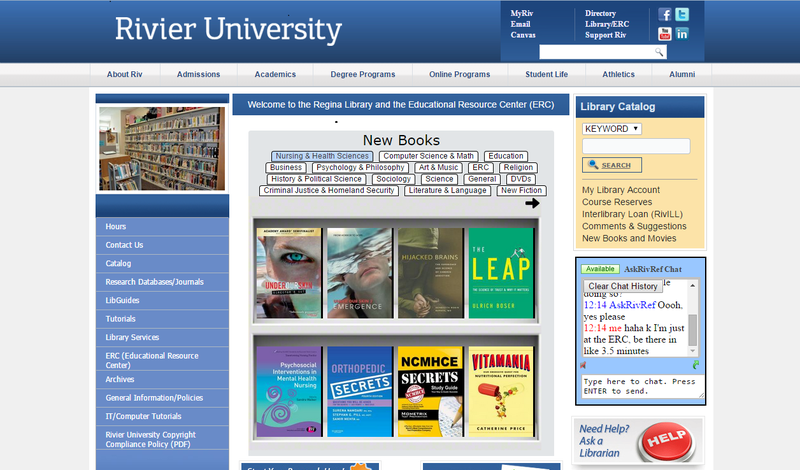 If you haven’t been to the library home page in a while, check it out! We now have a beautiful virtual bookshelf with book covers you can browse with just the click of a mouse. You can tab through subjects and see what new books are in that might be useful to you, or you can check out our fiction and DVD section and see what entertaining new items we have just processed!